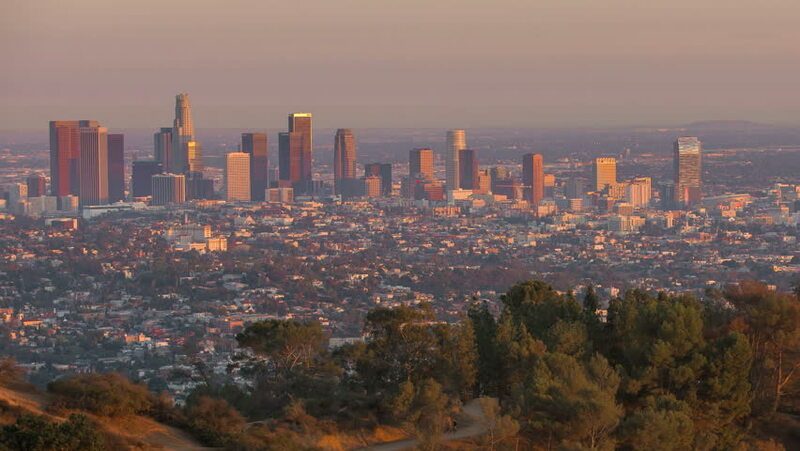 Los Angeles City Sunrise Timelapse. Reveals Downtown and Griffith Observatory. hd00:23Los Angeles California Downtown. The skyscrapers and business district of downtown Los Angeles, California. The high view depicts the towering buildings grouped in the middle of the busy city.